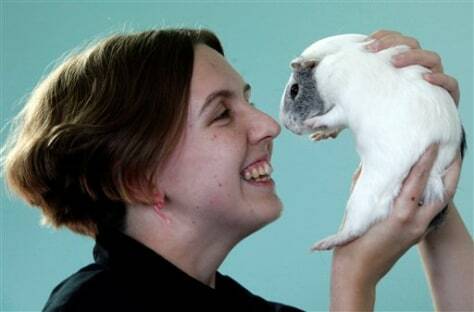 Valerie Hansen of Walnut, Calif., holds up a pet guinea pig. The Disney movie "G-Force" shows a squad of specially trained, computer-generated guinea pig spies coming to the world's rescue. Advocates worry that the tiny rodents will be at risk.